Giovanna Vitelli withdraws the China Awards for Azimut Benetti Group in the category "value creators"! Azimut Benetti Group achieved the China Awards for the category "Creatori di Valore", Creators of Values. The award, during the gala dinner and charity, in Milan on November 24, rewards the Italian companies have been able to seize the opportunities of the Chinese market and Chinese similar realities regarding the Italian market. Since 1984 Azimut yachts are sold in China through Hong Kong Dealer Simpson Marine, and since 2008 has opened the first company of the Group, Azimut China. In its sixth year, the China Awards are organized by the China Foundation Italy China and MF - Milan Finance under the patronage of the Ministry of Economic Development, Ministry of Environment, Ministry of Foreign Affairs of the Italian and Italian-Chinese Chamber of Commerce. During the dinner Gala was also present CEO Adriano Galliani of AC Milan won the Italian Super Cup against Inter played this year in Beijing, the CEO of the Class Group, and Cesare Rominti, Paolo Panerai, President of the Italy- China Foundation. Belize Motoryachts, the new Australian owned-and-designed luxury marque, has just celebrated this month the much-anticipated arrival of its limited edition, semi custom Belize 52 with two intimate launch events in Queensland and New South Wales. 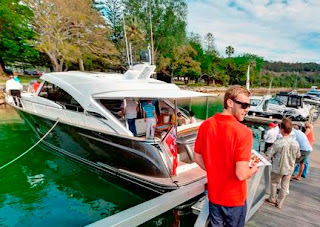 Both events – the first held at a private home on the Sovereign Islands in Queensland, the second at the newly opened offices of dealer LDM (LuxuryDesign Motoryachts) at The Spit in Mosman, Sydney – were Caribbean themed, reflecting the origins of the Central American Belize brand name. While the weather unfortunately overplayed its hand, conjuring up a Caribbean-like tempest on Sovereign Island, the launches were well patronized by an exclusive gathering of boat owners and boating aficionados, including the proud new owners of two Belize 52s, who claimed the boat far exceeding of expectations. First unveiled at this year’s Sanctuary Cove International Boat Show in May, the Belize 52 is the realization of a dream started by respected Australian boat builder, Wes Moxey and partner Lee Dillon, who in 2010 embraced their combined total of 60 years experience in luxury boating to create a flawless, elegant 52 feet cruiser that delivers on quality, finish, design, performance and internal volume. Constructed via artisanal means by the Taiwanese ISO certified ship-builder, Kha Shing, the limited edition Belize 52 (a total of nine boats are scheduled to be built by the end of 2012) comes in two variations: a single-level, sports yacht style Hardtop, and split-level open Day Bridge. Though inspired by the old world luxury details and timeless style of the automotive and boating industries of the 1920s and 1930s, the Belize 52 is thoroughly modern in performance: twin Cummins 600hp diesel engines deliver a speed of 30 knots, with a cruising range of approximately400nm. The Belize 52 is carving out a new niche for itself and has been received this month with rave reviews by experienced boating media and existing owners alike. The response has been “overwhelming”, according to Belize Motoryachts managing partner, Wes Moxey. Moxey and Dillon are quickly discovering the Belize 52 is appealing to a different segment of the luxury boating market enthusiasts that have owned various other boats from production to traditional. Even sailboat owners that now want to move into power boating for all of its convenience, but want something different and bespoke to reflect their individual tastes, as well as the latest modern technology have expressed an interest. Belize Motoryachts are currently in the midst of finalizing two more private sales of the 52, and there is considerable interest from dealers in Europe and the United States. 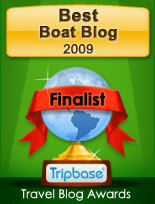 Grab those photos of you, your family and friends boating on your Formula and send them to the builder. Formula would like to include your photo in this year's online Formula holiday greeting. The winner of the Formula Holiday Greeting contest will receive four free Formula koozies and a soft side cooler. Formula cannot wait to see all your fun, Formula adventures! A Formula 382 FASTECH recently won the 2011 Amsoil Powerboat Series Class 4 National Championship Title! You can catch this exciting event now on the Versus NBC TV channel. The event will be broadcasted on Thursdays at 4 p.m. December 1, 8 and 15. Formula Authorized Service Centers represent service only relationships that have been established to provide quality service alternatives for Formula owners in areas devoid of a traditional Formula Dealer (sales and service) and/or where supplemental service is otherwise deemed desirable. As with full-fledged Formula Dealers (click here to locate your nearest Formula Dealer), our 90 Formula Authorized Service Centers receive direct factory support and are authorized to perform warranty work on Formula boats. Authorized Service Centers are held to the same standards as Dealers with regard to customer service and general professionalism and must maintain the same level of education and technical training. By extending the factory-supported service network well beyond the traditional dealer base, the Formula Authorized Service Center program provides Formula owners peace of mind, knowing that should they encounter a problem with their boat, a factory-authorized service provider is probably close by. Grand Banks Yachts announced its 2011 Authorized Dealer Sales Awards at a ceremony on the eve of the world's largest boat show, Fort Lauderdale. The event took place at the conclusion of the company's worldwide dealer meeting, in which top executives from Grand Banks briefed dealers and met together to exchange insights on markets and customers around the world. The evening's big winner was Paolo Murzi, who operates GB France in Cannes and GB Italia in the Italian coastal city of Orbitello. Mr. Murzi was recognized for his outstanding sales success in both markets during the 2011 model year. Boatworks Yacht Sales, with offices in New York, Connecticut and Rhode Island, took second place for its annual sales performance, while newcomer Grand Banks Northwest, based in Seattle, was close behind in third place. The dinner and recognition event was co-sponsored by Cummins MerCruiser Diesel, who also gave a special award to the top seller of Grand Banks equipped with CMD Zeus drives. GB Nederlands, from Heeg in Holland, took that honor based on their sales of the Grand Banks 41 Heritage EU. Following the 2011 Fort Lauderdale International Boat Show, Horizon has delivered an E88 motoryacht to new owners in Florida as well as received an order for the newly-debuted PC58 power catamaran, both boats were on display at this year's show and received much attention from visitors from around the world. The E88 was the first of her model on the U.S. East Coast, where the E series has been highly popular through the years, and the yacht's new owners plan to enjoy her for the next few weeks in the Florida Keys. The PC58 was unveiled for the first time at FLIBS during a Friday night cocktail event on the Horizon display, where guests were taken on private tours of the yacht and treated to live music, cocktails and hors d'oeuvres. America’s Cup Race Management in San Diego used HBI 30 RIBs as their VIP Guest Experience spectator boats when the AC 45 catamarans raced there this month (America’s Cup World Series San Diego, November 16-20, will be the first America’s Cup World Series event to be hosted in the United States.). The HBI 30 is designed and built by Hunt Yachts Portsmouth, RI to be a luxury tender and sport boat for use in demanding conditions, precisely what is found when serving as a spectator boat for the astonishingly fast AC 45 catamarans. Hard Bottom Inflatables of Noank, CT, is providing the HBI 30’s, continuing a tradition they established in 1992 of America’s Cup service when their craft supported America3. Featuring the unique ‘wide body’ stance of every Hunt-designed HBI, the 30 has enough interior room to accommodate a much larger number of passengers in great comfort than the typical RIB. The classic Hunt Deep-V hull gives the boat a smoother and drier ride, making the VIP experience more satisfying for the passengers. On Wednesday, JBYS staff from Beaufort & Charleston put the finishing touches on a new Charleston office location, now at Ashley Marina. The Charleston staff have experienced significant growth over the last year, and this new office space will help accomodate the six brokers now representing Jarrett Bay in the area. 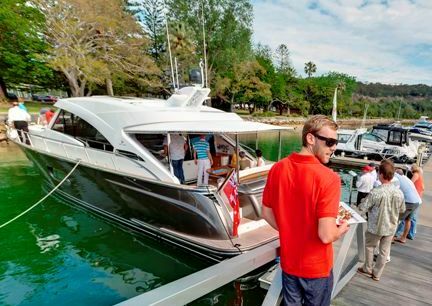 Ashley Marina boasts 230 wet slips and offers an ideal location in the heart of Charleston's boating community. Since its debut in Fort Lauderdale, there’s been a lot of buzz about Release Marines "Battle Saddle." This hybrid fighting chair / leaning post was actually developed directly with NASCAR driver Jeff Burton for his Jarrett Bay 46'. Remember you saw it on a Jarrett Bay first! Jarrett Bay is giving chance to commission a custom work of art from the legendary Carolina craftsmen! Jarrett Bay is now offering expanded woodworking services for domestic use, in addition to its traditional marine creations. Mulder Shipyard in the Netherlands has started construction of the new Mulder 98 Flybridge, the contracts for which were signed earlier this year. The yacht has been designed by Guido de Groot with Jaron Ginton in charge of the naval architecture. The Mulder 98 Flybridge is being built for a client from Russia, and will be delivered in the second quarter of 2013. The hull will be built in accordance with Lloyd’s classification. The new Mulder 98 Flybridge will be the first yacht to be launched from the new Mulder Shipyard yard. This second facility situated ten kilometres from the current Mulder yard will cover an area of 7000 square metres and focus on the maintenance, refit and new build of yachts between 18 and 40 metres. The Flybridge yachts have been a major international success. Another Mulder 92 Flybridge was delivered to an Egyptian client in 2010 and the yard recently sold a Mulder 73 Flybridge to an Australian client who had seen the New Zealand-owned Mulder 76 Flybridge Dutchess at the Auckland yacht show. Several other boats have been built for owners from Russia, Spain, Germany and Italy. The Overmarine Group network is expanding reaching also the Balearic Islands allowing the Group to grant a presence in the locations most visited by the owners. Michl Marine is the new Overmarine Group sales representative that will promote and support the Group in the promotion of the Mangusta Maxi Open yachts in the Balearic Islands. Michl Marine Ibiza s.l. 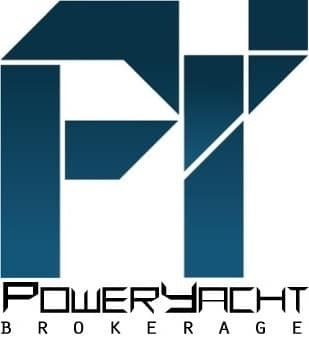 was founded 1997 by Mr. Manfred Michl starting with the maintenance service of boats based all year round in Ibiza. With the time, the company got represented several name of shipyards until succeeding in representing Overmarine Group Mangusta. After 14 years of experience in Ibiza, Michl Marine Ibiza s.l. is able to provide an excellent and quick 7 day service to existing and new clients. The office is located in the new luxury Harbor of Ibiza: Marina Ibiza, offering excellent berth facilities and concierge services being the most exclusive location of the Balearic islands. Overmarine Group is very proud to announce the sale of Hull#07 of Mangusta 165, the fastest Maxi Open Yacht ever built in the world. 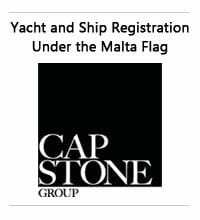 Besides the market situation, Overmarine’s research and development have never stopped in terms of high quality, performances, state of the art yachts, innovation & technology, craftsmanship, comfort on board, and interiors made to measure; as well as investments in some new premises in Pisa that will shortly allow them to enter a new market segment: i.e. the custom built yachts in steel and aluminum. The Mangusta 165 represents the maximum expression of the nautical technology combining high performances to use flexibility and comfort for the Owner. Construction number 7 of the series realized in cooperation with Architect Stefano Righini, is characterized by the interiors signed by Overmarine Shipyard’s technical and décor departments. Special care will be given to the comfort of the Owner either during the navigation, through a wide use of acoustic insulation systems, or at open berth and at mooring quay. Plymouth based Princess Yachts International has won financial backing from the Government’s Regional Growth Fund (RGF) for a major investment in Plymouth’s Devonport dockyard. Plans to create a world leading boat building facility at the company’s South Yard site were approved by Plymouth City Council last year, following which the company sought a Government contribution to help secure approval for this major investment from its French parent company. The new production site will be used to build Princess M Class yachts, a range of 100-foot plus vessels developed to meet the growing global demand for craft of this size. The new facility is planned to be operational by early 2013 and will create or secure over 1,000 jobs both directly and indirectly in the wider Plymouth economy. Princess Yachts exports 90 per cent of its production and has built a global reputation for quality and craftsmanship. It is already Plymouth’s second largest private sector employer, with just under 2,000 employees, and supports several hundred supply chain jobs. Last month Princess Yachts completed the purchase from Defence Estates of a freehold interest in the 18-acre South Yard site within the historic Devonport Naval Base. Seagate Marine Sales, Inc. in Stuart, FL, is a new dealer for Ranger Tugs in Southern Florida. Seagate specializes in trailerable boats and Ranger Tugs is their first line of trawlers which will complement their Edgewater and Parker powerboat lines traditionally used for fishing and high speed cruising. Boaters along the Treasure Coast and Palm Beaches now have a convenient location to sea trial and purchase the full line of Ranger Tugs: the R-21, R-25SC, R-27 and R-29 models. Seagate Marine is a family owned business that’s been in operation since 1993 and has a loyal base of customers who rely on their sales team for personal customer service as well as trailer service and post-purchase service. Seagate is also a certified 5-star Yamaha dealer and buyers will find reliable and knowledgeable service from the Seagate team. Ranger Tugs offer a fuel-efficient, maneuverable, seaworthy and well-equipped design from the 21-footer ideal for day cruising to the 29-footer comfortable enough for extended passages. All boats are equipped with a reliable diesel engine, Garmin electronics, Diamond/Sea-Glaze windows and bow and stern thrusters for ease of operation and maneuverability. Part of Seagate Marine’s dedication to customer service is ensuring the boat is also equipped with all requisite Coast Guard equipment, dock lines, fenders and life jackets. Seagate will be exhibiting the Ranger Tugs at the Stuart Boat Show, Ft. Lauderdale Trawler Fest and Miami and Palm Beach winter boat shows in 2012. For a limited time Rinker is offering to its Owners Club Members refinance to their boat at an Extremely Low Rate of 4.74% APR. This initiative helps Rinker owners to create room in their budget, taking advantage of this special introductory refinance rate on your there boat. This offers is being done in collaboration with Essex Credit. If one is not a Rinker Owners Club Member, the US builder is offering competitive rates to join, which result in an effortless loan approval and extended terms. Riviera, Australia’s largest and most awarded luxury boat builder has recorded its biggest hull release this month and called in two high capacity cranes to lift the new 75 Enclosed Flybridge hull from the mold to allow it to move into the next stage of production, Fit Out One. Riviera’s 75 Flybridge project manager Paul Wrench said the boat hulls were usually lifted from the mold using Riviera’s onsite overhead gantry cranes but because of the height restrictions within the building, the 75 was lifted out of the mold using a 30 tonne and 50 tonne crane. Paul said it was great to see the finished hull after months of planning and mold modifications which began in August. The interior on this boat is teak as opposed to the popular cherry and the owner has had custom lounges made for the saloon. Paul said the New Zealand owners had made several trips to Riviera’s state-of-the-art Coomera facility and were very impressed with the build progress. Paul began his career in the marine industry 34 years ago as a Shipwright for McConaghy Boats in Sydney where he spent 17 years building America’s Cup yachts. Paul is now Riviera’s large boat project manager having worked on the six 70 Flybridges previously built and now the company’s new flagship model, the 75 Flybridge. A constellation of high achievers have been presented with Riviera’s esteemed Star Performer award in recognition of their outstanding work ethic, dedication and leadership qualities. The awards have been running for more than 12 years and acknowledge exceptional employment contribution each quarter as nominated by each department head, with the overall winners announced at the end of the year. Riviera’s human resources advisor Megan Dennis said all staff had put in a tremendous effort this quarter. Star Performer award recipients Robert Miller, Rhys Phillips and Bryce Goding all have a positive attitude and exceptional attention to detail. Riviera’s general counsel Cherriee Ludemann said there were five nominees for the Occupational, Health, Safety and Environment award. Nominations for the Star Performer third quarter award:Drummond Johnson from Fitout 2. Simon Larner from Maintenance. Scott Pearce from Lamination. Clinton Rickard from Shed 21. Jason Tocco from Aftermarket. Blake Whittaker from Fitout 1. Nominations for the Occupational Health, Safety and Environment third quarter award:Damien Bailey from Timber. Lee Shields from Lamination. Doug Wilson from Waterfront Detail. Rob Vidovic from Maintenance. Human Resource manager Deanne Lugton said all the award recipients were great ambassadors for Riviera. As the sun set on the final day of the annual R Marine Queensland Great Sandy Straits Experience, some 45 Riviera owners enjoyed tapas and drinks under the Pandanus tree at King Fisher Bay, Fraser Island. In its 5th year the Great Sandy Straits Experience has become a highlight on R Marine Queensland’s calendar of events. A fleet of 11 Rivieras ranging in size from 36 to 51 feet set off from Sovereign Islands on the Gold Coast and embarked on a 408 nautical mile round trip north to Great Sandy Straits and back again. R Marine Queensland dealer principal Randall Jones said every year they chose a marine theme to give them safe travel and this year it was the crab. This was the first R Marine Experience for Margaret and Barry Hill who purchased a 3600 Sport Yacht earlier this year. Barry who was an avid yachty since the early 60s said the Great Sandy Straits journey was a whole new experience for him. Riviera 47 Flybridge owners Dale and Kathy Cash have been on several R Marine Queensland Experiences. Randall said the five night experience included a mixture of planned activities and leisure time such as lunch at Tangalooma on day one followed by dinner at Mooloolaba where they anchored for the first night. The next day they left Mooloolaba bound for Tin Can Bay where they crossed the Wide Bay Bar with the assistance of the Coastguard. The next day the fleet moved south to Gary’s Anchorage which is well protected from the weather. They anchored overnight and spent most of Friday exploring the local area. R Marine Queensland’s next event is their Christmas Party on December 4 at Jumpinpin. According to a ranking by a leading marine trade publication, four out of the five top boat dealers in North America are Sea Ray dealers, including the number one dealer, Prince William Marine Sales, which earned the top ranking for the second consecutive year. In addition, Sea Ray dealers make up nine of the top 20 dealer rankings and 29 of the top 100, and Sea Ray dealer MarineMax Inc. remains the first dealership inducted into the Top 100 Dealers Hall of Fame, an honor worthy of the company’s continued dedication to maximizing its customers' enjoyment on the water. Vicem Yacht Turkish shipyard of production and timeless design boats and super yachts - and Kempinski Hotel Barbaros Bay of Bodrum - selected amongst "World's 25 Best Hotels and "Condé Nast Traveller Reader's Spa Awards 2010" are now together in a unique international marketing initiative which is also a five stars travel opportunity: a number of Vicem's yachts will be available for the high selected clientele of Kempinski Hotel Barbaros Bay in the most exciting Turkish location, Bodrum. Together offering to an high selected clientele the pleasure of a private vacation inside the exclusivity. The privileged guests of Kempinski Hotel Barbaros Bay will enjoy the secluded bays, the eternal sunshine, and the gorgeous nights ornamented with millions of starts in blissful Bodrum, where history meets legends. And they will even enjoy private cruises with Vicem, with the 92, Vintage Line range yacht with its 4 cabins and 3 decks; or the 78 Cruiser, one of the latest born of the yard with its flying-bridge enriched by a 4 people Jacuzzi and Bisazza Mosaiques in every toilet. Or choose the Vicem 75 Fly, the 2011 new boat. If someone prefers day cruising Vicem gives the chance to sail on board the 40' or the 36', smallest of this series. Scandinavian boat builder Windy Boats has been shortlisted for a ‘2011 European Powerboat of the Year Award’ for the Windy 31 Zonda, a stunning fast weekender which harks back to the glory days of the deep-vee hull. 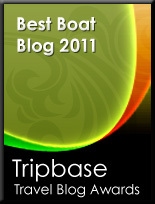 The winner will be announced in January at the Düsseldorf International Boat Show in January 2012. Launched to rave reviews last Spring, the Zonda is described by Windy CEO Knut Heiberg-Andersen as sleek, functional and seductive – a low profile weekender concept with no hard-top, no radar arch, just a great hull and plenty of horsepower. Exhilarating and uncompromising performance lie at the heart of the Zonda’s appeal. Designed by renowned naval architect Hans Jorgen Johnsen, the hull is capable of sustained highspeed cruising, combining fearsome wave-tackling abilities with superb handling and control. One leading UK yachting title has described it as the best hull tested. Focused on a deep, secure cockpit and performance-oriented helm position, the Zonda’s elegant accommodation is designed around the needs of an overnighting couple. The interior vision was conceived by acclaimed yacht and private jet interior designers, Eidsgaard Design (EDL), and the quality in the construction and fittings is self evident, from the luxurious finish in the double berth cabin and galley area to the folding cockpit canopy which is designed to be as effortless as possible to put up, and unobtrusive when stowed. Windy has a strong track record in the prestigious European Powerboat of the Year Awards. In 2009 its 44 Chinook hard-top sports cruiser was named ‘European Powerboat of the Year’ in the under 50ft category, while in 2006 the Windy 32 Grand Tornado took top honours in the under 40ft category. Operating equipment like this needs dedication and training to the fullest. Thanks.